Chandeliers are a phenomenal type of light fixture that can help you accomplish many different looks. Whether you want a more elegant and classy aesthetic for your foyer, or you want a modern and sleek ambiance for your outdoor area, chandeliers can get the job done easily and effectively. A chandelier may seem like just a chandelier, but there are four main ones you should know about before making a final selection — which is exactly what we’ll go over in today’s blog post. At lighting(one) of Cincinnati, our lighting experts can help connect you with the perfect chandelier (or chandeliers!) for your Cincinnati home. Our chandelier selection boasts chandeliers of varying colors, styles and sizes, meaning you can definitely find something that fits within your budget. Visit our Cincinnati lighting showroom today to see for yourself! 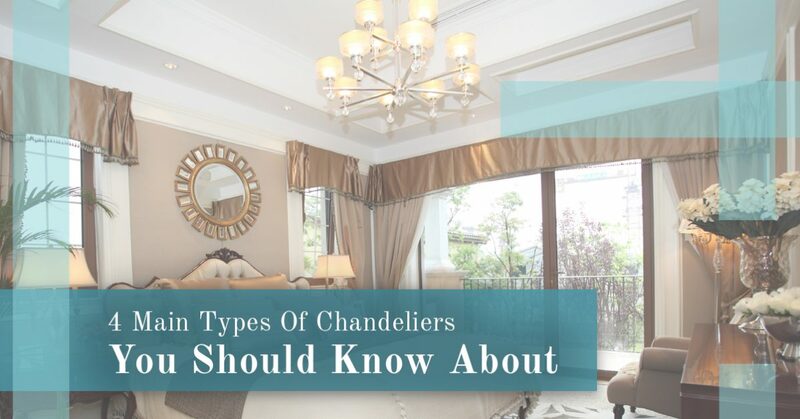 Continue reading below for the four main types of chandeliers you should know about, especially if you’re looking to install a new one in your home. Much like the name implies, crystal chandeliers are a common type of chandelier that are made out of crystals or are detailed with crystal designs. This type of chandelier boasts luxury, making them an ideal light fixture for the formal areas of your home, such as your dining room, hallways or foyer. Candle chandeliers are perfect for those of you with more traditional or rustic style preferences. They showcase candle-like features and give off a soft glow to any room they’re installed in. The type of chandelier features drum shades that cover the lights in the chandelier’s design. You can choose a shade that covers individual lights, or you can find shades that cover every single light in the chandelier. Drum chandeliers are a great lighting solution for when you’re looking for a dimmer, warmer kind of lighting for a room. If you’re looking to spruce up any of your outdoor gathering areas or space, outdoor chandeliers are a sophisticated way of doing just that. They usually feature multiple lights on one cord or suspension chain, and they can be installed in either your front yard or your backyard. We offer outdoor chandeliers in an array of finishings, ranging from brass and bronze to nickel and black. 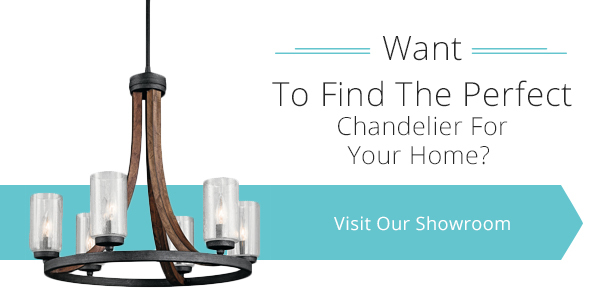 We know you’ll find something you love at lighting(one) of Cincinnati’s showroom! At lighting(one) of Cincinnati, we have an impressive selection of chandeliers that are both to match any individual’s style or budget. From candle chandeliers to outdoor chandeliers, we’re sure you can find chandeliers for every room in (or outside of) your home. Find out why our Cincinnati lighting showroom is the go-to choice for several homeowners in the local community. They can browse thousands of lighting products in our 4,000-square-foot showroom, and they can get the assistance of a lighting expert who is up-to-date on all the latest industry trends. Visit us to see our lighting selection in person, or schedule a consultation with one of our lighting specialists today.